726 pages | 324 B/W Illus. The footwear industry has rapidly changed over the last 10 years. Mass production has changed to personalization and mass customization, areas that are not well-understood. This book explores these different concepts in a coherent way, drawing on differing views that give a holistic view of the science behind footwear. Collating information from different disciplines, the book provides the tools to develop the next generation of footwear. "The integration of so many aspects of footwear design into a single volume is a challenge, but Goonetilleke has produced an extremely interesting book. … a valuable contribution … So, if this book were a pair of shoes would I buy them? I like their look, the material is great, and having tried them on for fit they're just about right." "… will fill the need of having a book to summarize what is happening in the footwear research field currently. … the only option to read and know what is happening out there in this field. "… a nice addition to the reference library for footwear design. … has more breadth and is a comprehensive and multi-disciplinary overview including both historical practices and some of the latest technologies." 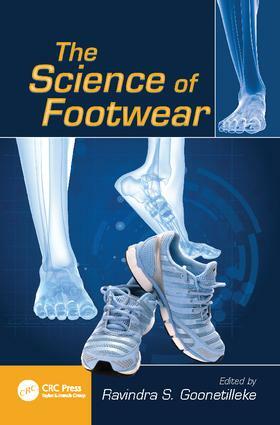 "… covers holistic information on footwear design from the scientific point of view. Topics are well organized and easy to understand for not only researchers but also designers." Ravindra Stephen Goonetilleke is a Professor in the Department of Industrial Engineering and Logistics Management at Hong Kong University of Science and Technology, Kowloon.